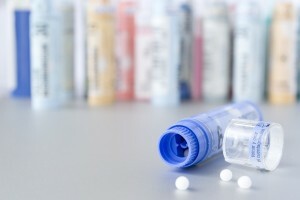 How Can Homeopathy Be Both a Useless Placebo and Dangerous at the Same Time? The FDA wrapped up a two-day hearing this week on whether or not homeopathic remedies should be regulated like drugs. Listening to critics of homeopathy try to justify why they don’t think the American public should have free access to homeopathic remedies leaves one wondering just what the real motivation is behind these criticisms. The two dominant criticisms made against homeopathic remedies are antithetical to each other. Critics complain that due to a lack of regulation homeopathic remedies are dangerous, but then they turn around and say that homeopathic remedies are simply useless sugar pills with no therapeutic effect whatsoever, and no better than a placebo. Is this the new standard of scientific scrutiny that federal agencies are using to supposedly protect the public? The FDA is clearly not concerned about homeopathic remedies because they are a danger to the public. There are no deaths associated with homeopathic remedies, and very few side effects. By contrast, FDA-approved drugs have millions of adverse side effects, including over 100,000 deaths each year. Homeopathic remedies are a danger to the FDA’s monopoly on drugs, and so they clearly want to either eliminate the competition, or get in on the action and take over the market.